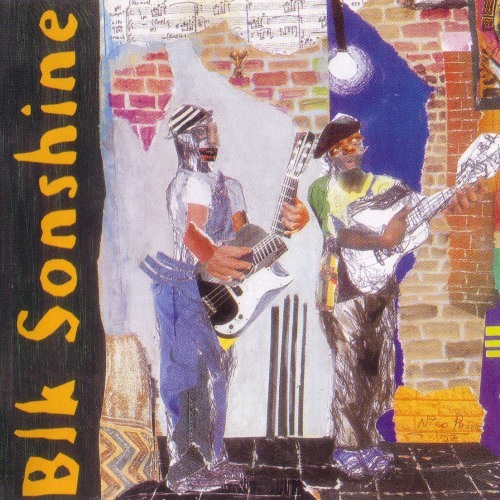 Blk Sonshine are unarguably the most exciting new group to emerge from Africa in the past decade. They blend melodic and sometimes percussive acoustic guitars with hiphop,jazz,and folk influences as well as a huge helping of soul from their African motherland. The result is emotional music that owes no allegiance to any one culture but instead combines and then enlarges musical boundries. Take a listen to “Born in a taxi”, “Building”,”Bahlalefi” and “Melting in the rain”. Wow!!!! Im truly enchanted and spellbound by this group. Listening to this album after so many years still gives me goosebump…..Im in Washington at the moment, missing home (SA) so much!Mad mass love for you guys!